Here at 3DPrint.com, we do our best to keep you up to date on all of the most important things happening in the industry today. Whether it’s current business news, a breakthrough research project or exciting new product, series on important topics, or the latest events, we’re here to tell you about it. But, we’re not just news – we also offer giveaways, surveys, and so much more! For instance, 3DR Holdings, the owner of the website, recently acquired an interest in SmarTech Markets Publishing, which is the leading industry analysis firm in the additive manufacturing sector. It’s the only firm that provides granular market analysis for the 3D printing industry, and offers up yearly reviews, along with market reports on a wide range of topics, from materials and bioprinting to 3D printing software, metals, and the complete range of vertical markets for additive manufacturing. If you click on the Research tab at the top of our homepage, you’ll go straight to the SmarTech Analysis page, where you can browse reports and infographics to your heart’s content. Speaking of SmarTech, the Events tab on our homepage includes a link to the Additive Manufacturing Strategies site, a yearly summit that 3DPrint.com co-hosts with the industry analysis firm. We are also both joining this summer’s Inside 3D Printing in Seoul, South Korea as co-producers. 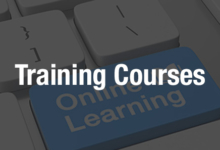 We also have a place on our website where you access white papers from important industry players, like Stratasys and Formlabs, browse old webcasts, and sign up for our popular online training courses. Our next class, “Filaments, Materials and Software Considerations for 3D Printing,” starts tomorrow and will teach you about programs and tools you can use to build an exciting design project from scratch. Additionally, as a bonus, if you register for our latest course, you’ll get free access to our past lessons on related topics so you can keep building your skill set. One of the best, and fastest growing, features on 3DPrint.com is our online shop. We currently offer 3D printers from G3D and Dynamism, the latter of which will also provide installation and training on-site and through webinars. You can also purchase 1.75 mm and 2.85 mm spools of 3DPrint.com’s own brand of filament on the shop. Facilan C8, a novel material with higher impact strength than PLA and higher tensile strength than ABS, is available for $44.50 a spool, while high gloss Facilan HT can be purchased for $42.75. If you’re interested in 3D scanners or books about 3D printing, our shop provides the latest search results from Amazon. If custom 3D printed fashion is what you’re looking for, we’ve got two vendors: Wiivv and its 3D printed shoes and insoles and the King Children app, which provides fashionable 3D printed prescription eyewear at a relatively affordable price. 3DPrint.com’s online shop also features two professional 3D printing service providers: Treatstock and 3DCompare.com. Both of these services are easy to use: simply upload your 3D model, customize it, finalize delivery, and checkout. So remember – the next time you’re in need of something in the 3D printing industry other than news, be it filament, an online course, or a job, visit 3DPrint.com.